Units that offer nursing home care at Windemere are full, but not so the independent living facility, which will be closed. Citing low occupancy and ongoing financial losses, trustees at the Windemere Nursing and Rehabilitation Center announced Wednesday that the independent living facility at the Island’s only nursing home will be closed. 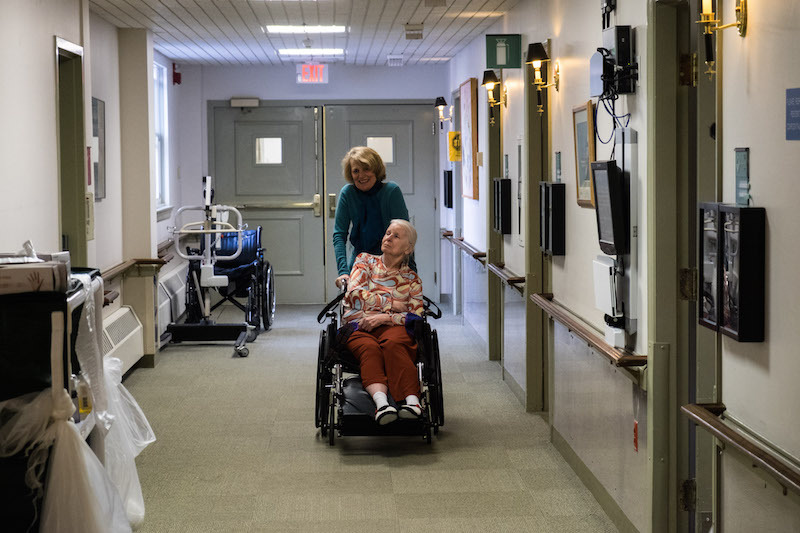 Situated on the Martha’s Vineyard Hospital campus, Windemere operates three units, two with skilled nursing home care and a third as independent living, where residents have their own living spaces but share common rooms and activities. Windemere has no assisted living facility. Despite receiving high rankings, the independent living unit on the first floor has failed to attract residents, nursing home and hospital leaders said. Currently the 13-bed unit has just three residents. “It’s a very tough decision and has not come without a lot of hand-wringing and concern,” hospital president and chief executive officer Joe Woodin said, speaking to the Gazette by phone Wednesday. Windemere operates as a nonprofit corporation in partnership with the nonprofit hospital, an affiliate of Partners Health Care in Boston. The nursing home is currently losing $750,000 to $1 million a year, losses that are covered by the hospital. A six-month time frame for closing the independent living unit at Windemere was outlined in a press release, but Mr. Woodin said it may take more or less time, spending on a variety of factors. “These are the first steps,” he said. He emphasized that the nursing home is working with the three residents and their families to help them relocate. Staff at the hospital and Windemere were informed of the plans early this week, Mr. Woodin said. Windemere has struggled with deep financial losses since it opened in 1994, a successor to the old long-term care unit at the hospital. Nursing homes operate under a different reimbursement structure than hospitals. According to the press release, two years ago the nursing home began to suffer severe systemic financial losses, and funds were transferred from the hospital to develop a plan for sustainability. A three-part action plan called for improving the occupancy in all units, improving the staffing model by reducing the need for expensive traveling nurses and aides to fill vacancies, and petitioning the state to update the reimbursement formula under Medicaid. About 85 per cent of the residents at Windemere are on Medicaid (Mass Health). Parts of the plan were successful, and the two skilled nursing units are now full. But the independent living unit has continued to suffer large losses and low residency. And Mr. Woodin said repeated attempts to work with elected officials and others at the state level to adjust the rate structure for Windemere have been unsuccessful. The rate reimbursements have not been changed for a decade and are still based on costs from 2007. Once the unit is closed, he said plans call for the hospital to rent the space from Windemere, which will help with the bottom line at the nursing home. He also confirmed that Windemere administrator Ken Chisholm recently left his post. Mr. Chisholm had also worked in human resources at the hospital. He said Marie Zadeh, a longtime nursing director at Windemere, is currently undergoing training to become a licensed administrator. Once her training is complete, she will be promoted to the top job, he said. “In the end we are going to have a very experienced clinical administrative leader,” he said. Very sad news for the Vineyard. It was a Godsend knowing my Mom was so close by and so well cared for. VEry sad. but also very unnecessary. Most Vineyarders don't know exists. Hospital has never done anything to promote its Independent Living facility. there is a huge need nationally for such facility. Very stupid! So true!The public should have been notified oftheir plan awhile ago.Why are losing residents when the population of elders is increasing. As a member of the Board of Trustees of Windemere, and of the Windemere Oversight Committee, I'd like to address the complaint that we have "never done anything to promote its Independent Living facility." 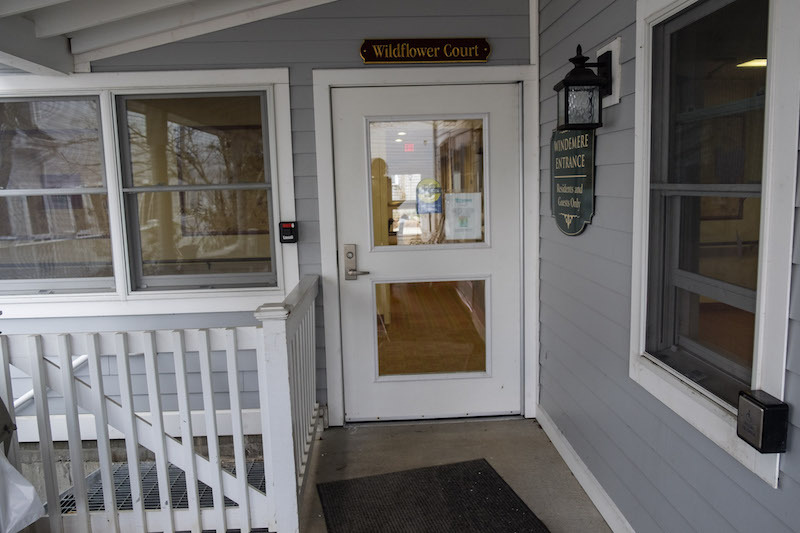 In fact, for years, we have advertised in both Island papers, our administrators have visited the senior centers to speak about the wonderful recreational department and the advantages of Wildflower Court. We have had open houses, family dinners, and newspaper articles about our residents and their enjoyment living there. We refurbished the wing and added single rooms. Our Board of Trustees strongly believes in Windemere, and we did everything in our power to tell the community about it. We, too, are very sad to have to consider closing the independent living wing, but the people of the Vineyard do not seem to want to live there in numbers sufficient to make it a viable option for the hospital. We cannot allow this magnitude of loss at Windemere to jeopardize the nursing home residents and the hospital. I appreciate your comments about the advertising. I was wrong and know now after checking with the advertising departments of both papers that for over a year or maybe more there was advertising in the 55 and over section of the Times and classified advertising in the Gazette.Re family dinners, I attend all of the family dinners, however I have only seen families and their friends there. But it was a good idea to have invited the public to a meal. I think what could have been most helpful would have been an article in the papers- with the editorial help- that stated the concerns of the Board about the financial health of Windemere . I still am not clear about the million dollar shortfall. Is that all of Windemere's three units or just the rest home. ??? An article asking for community support financially and support for the Board in how they can prevent closing from taking place would have been helpful. News about this could have gone to the papers two years ago. Right now the government supports programs that encourage elderly to stay at home. I am told that the cost to keep a person in their home is more expensive than to have some live in a rest home with state support.....I know for one that I paid more to keep my mom at home with support than what it cost to pay privately at Windemere.--- running her home and paying to keep that running and paying for help with meals, meds, rides etc...was thirty to forty thousand dollars more a year than paying full feel at Windemere for a year. I don't think i can say more than please try to put an ad hoc committee together to study the feasibility of running an 8 bed rest home on the island that is also state supported and with an active fundraising.program- i.e. sponsors to subsidize an elderly resident each year to stay in the rest home...thank you for the space to share my thoughts. As the family of a current resident of Wildflower Court, to learn of this closing by reading the newspaper is shocking. We were never informed that this was in the works. Today's article is the most information the Vineyard community has in many, many years about the existence of Windemere's independent living facility. To announce its closing without any public discussion is doing a great disservice to the island, especially in light of our constant need for housing among the elderly. If Windemere would advertise the availability of independent living at Wildflower Court perhaps this shortfall could be remedied without denying Vineyard seniors the opportunity of living out their years in our own community. Ms. Morris I'm so sorry you were informed this way.I can't believe the Administrators didn't meet with the residents and families.I hope you can find another placement.Again I'm sorry. Windemere Unit 2- The Rest Home-now has 3 rooms which have been used for the past few months by Partners and two rooms that are earmarked for the Administration of Windemere- That makes Windemere Unit 2, The Rest Home, an 8 room unit. Four of the rooms are presently occupied by residents. As I read the article in the newspaper, I am unclear about the word "partnership" What is the relationship between the hospital and the Rest Home ( Windmere 2). Do they have separate budgets? I read the papers weekly and have never seen an active marketing campaign to let the community know about the facility. My mother has lived on Unit 2 since December 2015. My mother was a community health nurse, was former Director of Hospice on the Island and has a masters degree in Gerontology.She has worked on non profit Boards on the island in health care for over 30 years.She has lived on the island full time since 1985. Sarah is an independent woman and has always taken pride in the fact that she was able to take care of herself. 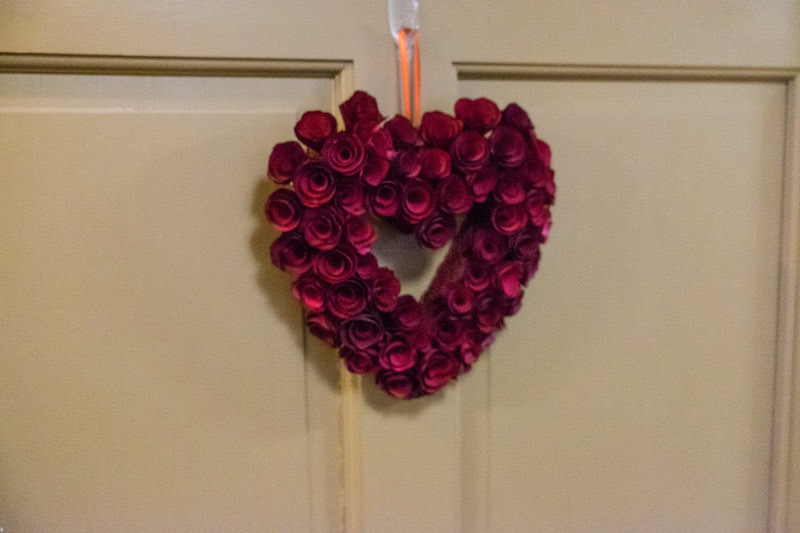 When she could no longer stay in her home because she needed a more supportive environment, we were thrilled that she could move to Windemere 2. She has made a lovely home for herself there. We don't want to see the Unit close. It serves such a need for our community. We do not want to see it close. It would be helpful if members of the community and the residents families could have a meeting with Mr. Woodin and the Board of Windemere as Georgia Morris suggested in her letter to the Editor. It seems as if the decision to close has been made, however, we were told this week that they are thinking about closing and that the decision had not been made. Would a meeting or open forum be possible. This is a very special community where people help each other. i think that when people in our community are aware of the possibility of the facility closing that they will want to talk about it and work on a viable solution to keep it open. If we could talk and suggest some alternative ideas, it would be helpful to us all. I hope that Mr. Woodin and the Board of Windemere will be able to meet with us. The need for appropriate alternatives for older adults who can no longer stay at home will only increase on the island and closing this wonderful facility will force people to leave the island. Since this is a non profit and like all non profits, it will need community support and support from the hospital to survive. This is the only certified Rest Home on the Island. There is no alternative but to be transferred to the Nursing Home. People who don't need long term care ( Nursing Home) but need a 24 hour supportive environment have no alternative. Let's work together to help keep Windemere 2 Alive.Thank you. Very well said Sally. Don't close the door to families that need the services. Find another provider,as was suggested to the soon to be displaced, is not easy on this island. We need to take care of our elderly population. Where are all of the uber-wealthy residents ? Now would be a great time to open your wallets, organize benefits or network with your high-powered friends to brainstorm solutions. Folks who take out from the island for their multi-week summer jaunts should be willing to give some support to a real problem for the year round residents. The article leaves one to believe Mr Chisholm " left his post " the way a rat would abandon a sinking ship. To the contrary his retirement after years of service to Windermere and The Hospital should have been honored and respected. This is so disappointing. We already have such a severe housing crisis and now we are taking those in need of housing and care and dispossessing them. I hope they can find some comfortable way to help the three people in residence right now. Shouldn't we be opening the doors to help in housing more of our aging population? Is it too late for this decision to be reconsidered? Independent elders do not want to live in a hospital/nursing home. We need more independent apts. like those available at IEH, Havenside and Greenough House.. That's where the $ should be applied!! The rest home Unit 2 at Windemere is a place for elderly who need a more supportive environment. I could have moved my mother into an independent apartment like Havenside however, that was not a good option for her. There are those elderly people who need more than an independent apartment. Many older people need a small apartment like Unit two where they are given their medication, their meals, and have activities and programs and feel less isolated. You are given help with a shower, your laundry is done each week, your bed is changed and your room is cleaned each day. I was always a believer in keeping the elderly in their home and bringing in the services that are needed, but I have come to believe that when one needs a more supportive environment, it is not always in the best interests of the elderly to remain in their home or apartment. I am thinking about myself as I age. When I can no longer take care of my home and cook meals and give myself my medicines and do my laundry, I welcome a home like Windemere, Unit 2. Windemere is not perfect and there is always room for improving some aspects of care, but it has been a home for my mother for 15 months and it is sad to see this facility close, not just for her but for this community. I wish Russ and Mary Ann Hoxie could tell you what it meant to them. It is the death of a Unit that served our community for so many years. I personally as a nurse with a Masters degree in Public Health Nursing would love to work with a group of people to see if we could salvage the Unit. Even if it were to be an 6-8 bed unit. Can you think about keeping the unit open as a smaller unit and let some of us try to find solutions so that we can keep the rest home afloat. I believe that a good working group with experienced people can find solutions to keep our rest home open. Will you give us this chance to do this work? I'm sad to hear this, however, the cost of living there was OUTRAGES.